Our Equipment... Here is a look at some of our most recent equipment purchases, this is our commitment to professionalism, safety, and reliability. Modern Upgrades — This also allows A & J to execute your work faster, lowering the price. 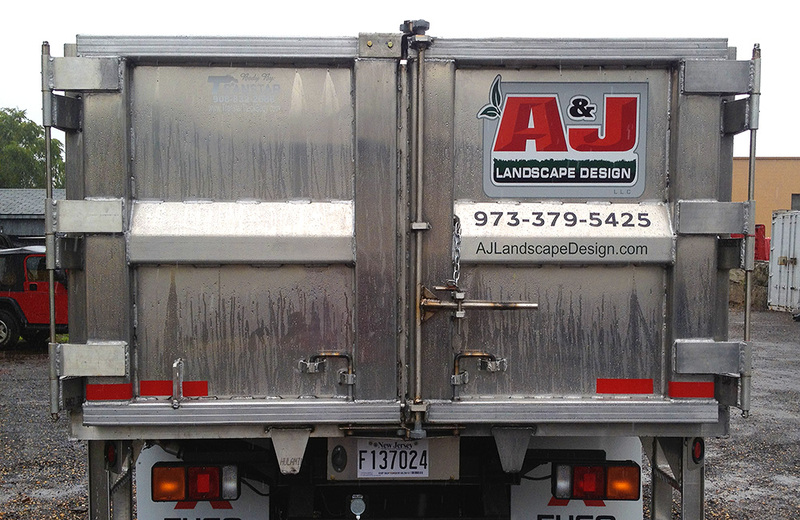 Our New Lawn Maintenance Service Truck, back view. Our Pick Up has been recently fitted with a new Dump Insert and Spray Tank. 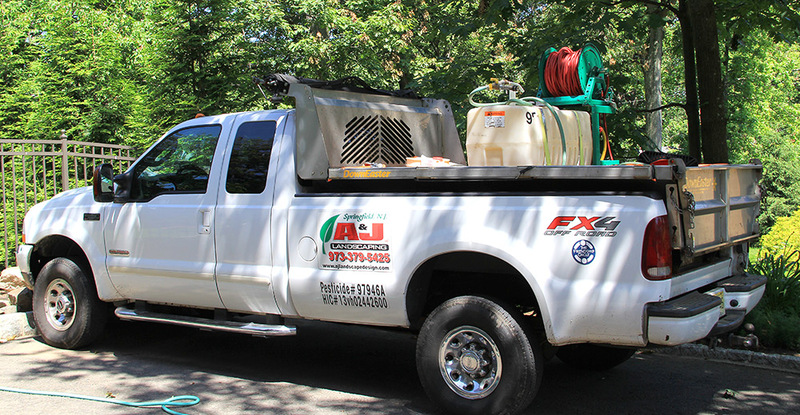 Another view Our New Lawn Maintenance Service Truck. 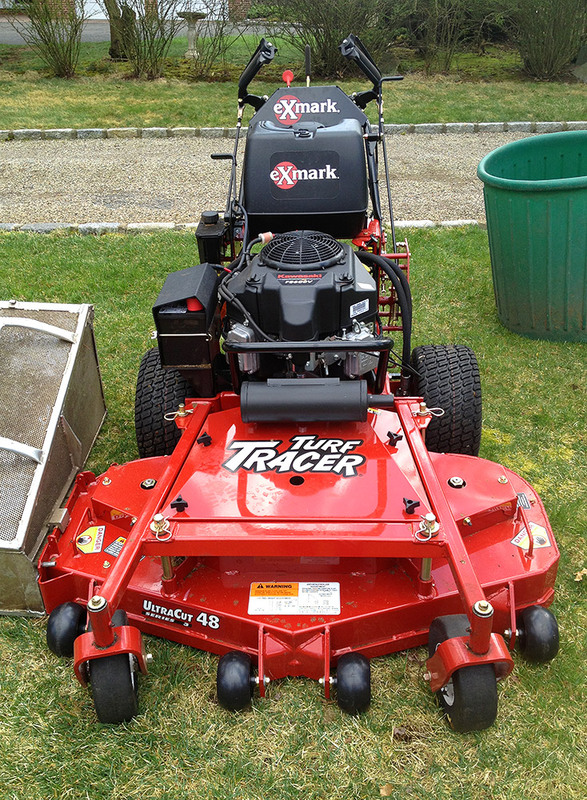 Our New Exmark 48” Ride­On Mower. This machine is one of the industry’s most productive ride on mowers available with its newly designed cutting deck. This machine makes every lawn look great, no matter the size. 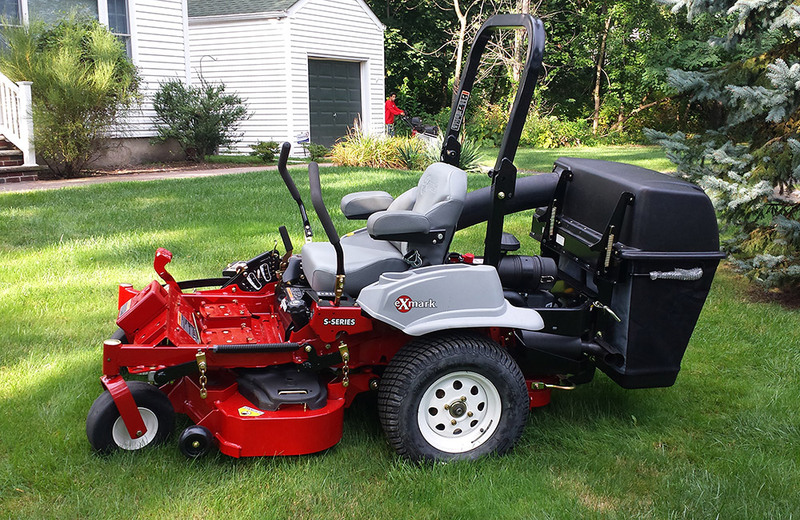 Like our other machines, it has an easily adjustable deck, our crew can be sure your lawn is being cut at the proper height, no matter the season, your preference, or the site conditions that day. 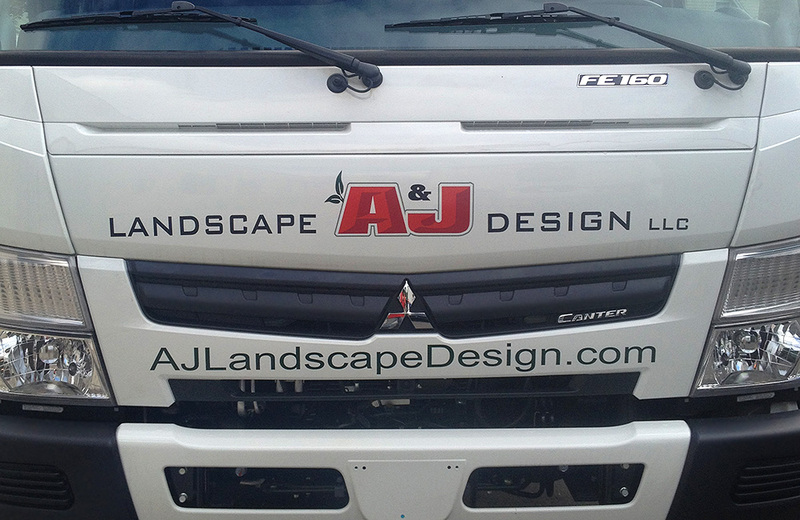 Our New Lawn Maintenance Service Truck, front view. 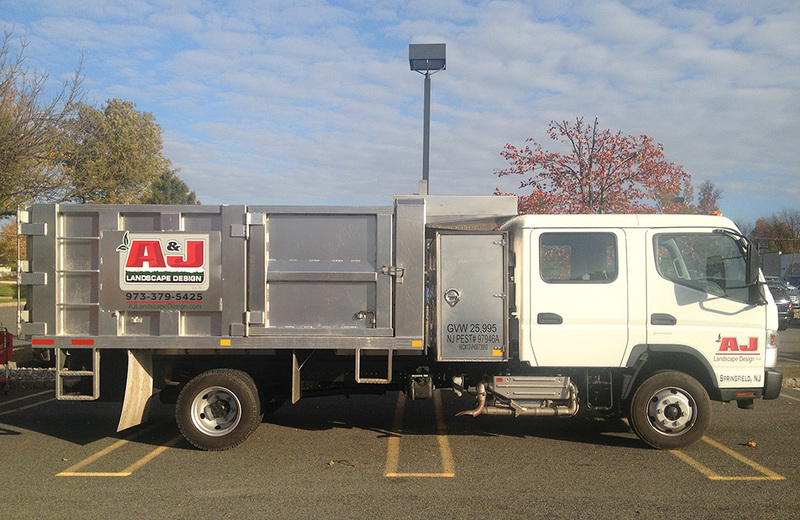 Our New 20’ Enclosed Equipment Trailer allows us the advantage of always having the right machine for the job at every stop. Our New Exmark 48″ Hydraulic Walk Behind Mower. This machine is built to handle any lawn with ease, improve worker safety and fatigue, ensuring your lawn looks its best after each and every cut. With its easily adjustable deck, our crew can be sure your lawn is being cut at the proper height, no matter the season, your preference, or the site conditions that day. Our New Lawn Maintenance Service Truck. 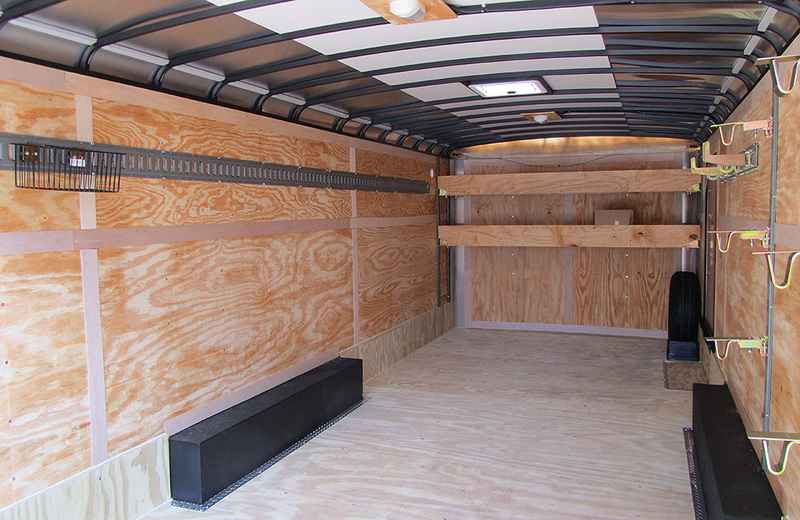 We took a hands­on approach, working with the fabricators to help design our custom­built truck to meet our needs of productivity, safety, and customer service. 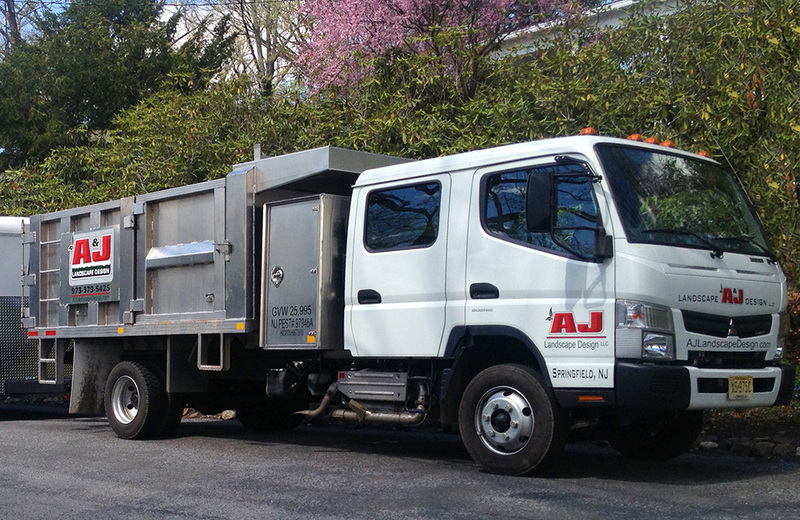 Our new truck also has full dump capabilities, with the interior and exterior of the truck bed designed to compliment our seasonal requirements.